Bing has been long seen as the forgotten child having suffered from middle child syndrome in the search engine and specifically the Search Engine Marketing World. 2016 marks a new year for the forgotten search engine and with new vigour driven by the release of Windows 10, Windows Mobile, Microsoft edge and corporates like AOL switching to bing, it has started to challenge googles supreme authority. 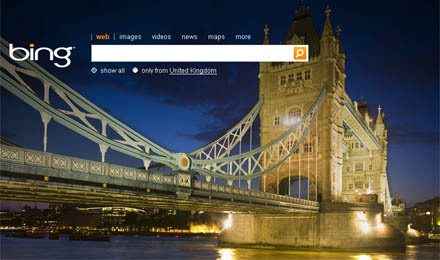 Bing is a web search engine owned and operated by Microsoft and their answer to Google. The service evolved from its origins in Microsoft's previous search engines namely MSN Search, Windows Live Search and later Live Search. Bing has not been an easy project for Microsoft to take on and at a time was recording losses of $1 billion per year but Microsoft’s CEO Satya Nadella saw its potential and turned it into a $4 billion a year profitable asset. Bing's growth has been somewhat under the radar and now currently holds 21% of search engine traffic, which compared to Googles 65% doesn't sound that much. However, if you consider that roughly 156 billion searches are performed every month, 21% of that pie is still worth getting a hold of. In a South African context according to Alexa, Bing is ranked 71 out of SA's top 100 sites and while it still has a long way to go, getting used to its tools and offerings may provide a distinct advantage for future business. Just like Googles Search Console, Bing offers site owners a similar tool in the form of Bing Webmaster tools. Bing Webmaster tools can give you great insight into your websites like impressions, clicks of your site and social media pages. Allow you to associate your social media pages to your site so Bing recognises the connection, submit sitemaps, check for site errors, provide keyword data and a whole lot more. Adwords has been king of search for years now, building up an empire where website owners and digital agencies are exchanging cash for traffic and turning over around $75 billion dollars in ad spend with such an insanely competitive auction on keywords brands are pricing each other out and CPO's are beginning to skyrocket. A viable option would be to diversify your search ad portfolio into Bing Ads. Setting up Bing Ads Campaign manager is free and if you know anything about AdWords you should be fairly comfortable setting up your campaigns, you can even import your AdWords campaigns into Bing Ads if you're lazy and want to optimise from your existing base. Bing Ads have recently introduced it's own keyword planner so you can now pull keyword data directly from Bing. Tracking Bing ad performance couldn't be easier, no need to rely on 3rd party solutions. Simply enable auto-tagging and set up your utm parameters you would like to use for your ad destination URLs. You can set tags for source, medium, term and campaign as with most utm tagged traffic. Like the newly rolled out Shopping Ads Google is now serving to 5% of searchers, Bing Merchant Center allows you to create a catalogue, which includes images and other information about your products so that your products can display on Bing. It's been around since 2014 and offers a larger retail space for ads than Google, it also allows you to seamlessly integrate your Google shopping feeds into it. Bing has remarketing too, similar to Facebook and Twitter remarketing all you have to do is generate a UET tag in your Campaign Manager, drop the script into the head tag across your site, or via Google tag manager which now supports Bing Universal tracking and set your parameters to build your list, eg all visits, all non-converters etc. Bing Ads will start collecting the data and populate your remarketing lists for you.